You have your own company and products and want to showcase your items and business over the internet? If so, the website is the best method for it. I fully recommend you to create a business website to make your stunning online presence globally. The website is one of the powerful tools to branding your company, products or portfolios. It is also the best method to promoting your business and companies. The website is also a good method to grab the attention of your customers and they can get the better idea about your company and products easily. 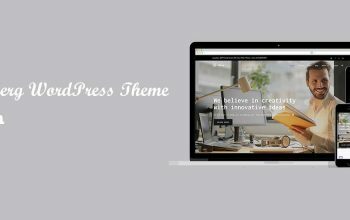 How to create a business website using WordPress? To create a business website with WordPress is no more complex. WordPress is the powerful CMS to make corporate, business, portfolios, and e-commerce website. Don’t be late to create a business website and increase your business. WordPress offers huge flexibility and features to develop corporate websites. Some of the best parts of WordPress for business websites are as follows. Well, lets elaborate the perfect theme for your business and e-commerce website so that you will get the best ever online presence. Nexas is free, clean & minimal, elegant & lightweight business, corporate and e-commerce WordPress theme having tons of flexibility and features. Nexas has lots of features to make your awesome business website. This theme easy to customize and use. If you are wondering about how to make your website like a demo, Nexas has one click demo import feature so that you can easily make your website like a demo. You will get an option to import demo data with a single click after installing and activating the theme and recommended plugins. You can check video documentation about the whole process how to import dummy data and start to create a business website. WordPress is so much flexible due to widgets as well. Nexas has 9+ custom widgets to make show the page contents in home pages and inner pages. Widgets properly work on Page Builder widgets as well. Custom widgets available in Nexas are listed below. This widget is perfect to show the features on your homepage. You can show the features with page repeater options in the widget. You can add one banner image to feature section, font awesome icon in every single feature, title etc. Work widget help to show the work from the selected category of post. Check the front end view and backend view of this widget in the below image. Perfect widget to add a title, link and button text in the widget area. Post from the selected category with featured image, title, subtitle, excerpt text, date and author etc can be displayed using this widget. Three column post will appear. Best widget to show the services on your website. Repeater options of this widget help you to show an unlimited number of services from the selected page. Title: You can put your own title for this section. Select Pages: Select the unlimited number of pages from the repeater option. If you want to remove the selected page, you can remove it easily as well. Check this theme now, it is totally free. If you want to show the team of your company you can use this widget. The selected page items featured image will be the team member image, excerpt field content will be the position, page name will be the team member name. You can check the dummy data to know more about it. Select Pages: Unlimited pages selection for team section available. Testimonial widget is useful to show the testimonials. Select a page for welcome message section on the homepage. Page title will be the section title, you can write your own subtitle, you can limit the character number, change read more text etc. 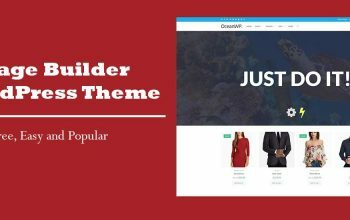 The free version of this theme is fully compatible page builder plugin. 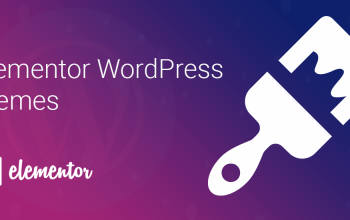 You can install and activate Page Builder By Site Origin plugin can build inner pages and all custom widgets are fully functional with page builder plugin. Page builder plugin is a popular plugin to create a business website. Not only home pages, you can make beautiful inner pages as well. Header option including icon, phone, email and social icons. Furthermore, there are also some good features you will get with the theme. If you need more features including color, fonts, typography etc, you can go to the premium version. You can easily integrate contact form 7 with this theme. If you need contact page on your website, you can use contact form 7 and this plugin is one of the trusted plugins for contact. Make your contact page amazing using this plugin and it is fully compatible with Nexas. Video documentation will help you to setup and customize the theme easily. If you are wondering how to start with Nexas, you can follow video documentation and it’s great and easy method to use this theme. Video documentation will guide you every available option, its usage, and functionality. See the below video to know more about this theme Nexas. Are you still looking for more features? If so, you can go with the premium version of this theme named Nexas Plus. Nexas Plus has some more added features. Pro version is a great improvement over the Free version and adds a lot more customization, features, widgets and more. Users can use the free version with free support and updates but if you need highly dedicated support, more features, and regular updates, I recommend you to go with the premium version. Premium version is really amazing and outstanding. In addition, you will get more features on this theme. Check premium version here. You want to know what are the core differences between free and premium version? Check differences below. Even if you use the free version of Nexas, you will get free support and updates lifetime. Paragon Themes offers live chat support, forum and email support for free theme users as well. Don’t hesitate to use free version because dedicated support team will mentor you in every possible problem with best solutions. Nexas is WooCommerce compatible theme. You can easily make your online store and sell products via the internet. Use WooCommerce plugin to make the online store by using this free version of Nexas. This post is very helpful to create a business website for free using Nexas Corporate Theme. You may get puzzled about choosing the theme but I highly recommend you to use this theme because you will never get such features in the free theme. Keep visiting our website for more similar theme and their reviews. Hope, you like this post. Feedback and suggestions are highly appreciated. We love to hear your comments below in the comment section.